One of the most rewarding experiences with Golden Gate Labrador Retriever Rescue is being a foster for a rescued Lab. A foster plays a critical role in the rescue and placement of our dogs into their new forever homes. The majority of our dogs are placed in foster homes when they are surrendered to us by the owners or rescued from a shelter. Fosters are the bridge to provide a safe and secure home for the dog until we find it its new forever home. This temporary refuge might be for several days or weeks… or several months. Fosters perform a variety of duties, depending on the particular dog. Of course, fosters feed and shelter a dog. They take the dog for walks and provide opportunities for exercise and play time. Fosters may help transporting the dog to and from the vet for medical care. Fosters provide opportunities for the dog to socialize with other dogs. They provide basic care and grooming for the dog. Fosters may chaperone visits between their foster dog and prospective adopters. Fosters also maintain close communications with the dog’s Rescue Rep. Our Foster Handbook details the breadth of things that fosters do. GGLRR provides all supplies and materials needed by fosters too – we do not expect a foster to spend a dime on their foster dog. 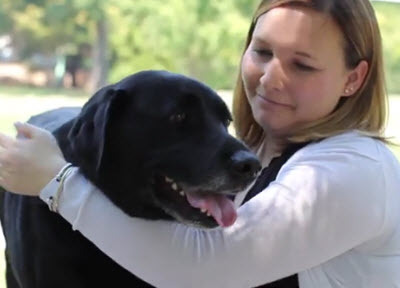 Fosters open up their homes and their hearts to our dogs. They do so with the full understanding that they are expected to relinquish the foster dog to a new forever home once that family or individual is found. On occasion, at the foster’s special request, we adopt a dog to the foster – this is affectionately known as a “Failed Foster”. 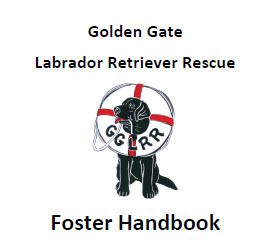 We are truly blessed to have so many dedicated and enthusiastic fosters to contribute to the success of Golden Gate Labrador Retriever Rescue… but we always looking for new fosters. To explore becoming a foster for GGLRR, complete a Foster Application and email it to labrescuesfbayarea@gmail.com. One of our volunteers will conduct an interview over the phone and, if all goes well, will then arrange a home-check to ensure the candidate foster has a safe and secure home for a foster dog. © 2019 Golden Gate Labrador Retriever Rescue, Inc.